he laptop we decided to show you in detail in the next few minutes is a visual evidence of the claim – less is more when it comes to looks. Along with this it could be called reliable, functional and relatively affordable. 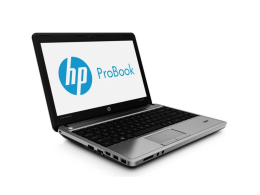 We are pleased to draw the curtain over the HP probook 6570b. The shape is classic and the main material used is metal but there is also polycarbonate. Both, however, are treated so they are not easy to stain or harm. Two colors are combines for this laptops appearence – gray and sylver. The opening mechanism is stable and there is a locking option for it. You can see on your screen what the 6570b looks like – we can only add to the picture its dimensions. 374 mm width, 251 mm depth and a thickness of 34 mm. And the weight is just right for a machine like that – 2,5 kg. What surprised us was HP’s choice of display and the fact that you can actually choose between two options. Yes, there are two separate displays available as a configuration to that model, so when buying it you can choose one based on your personal preferences. Both versions have a diagonal of 15.6 inches, but the resolution is either 1366 x 768 pixels or HD + 1600 x 900 pixels. Both of them made with Hewlett Packard’s idea of economical use of electricity consumption. Also, the LED-backlit technology guarantees more realistic looking colors. The display is visible enough in direct sunlight, because of its anti-glare cover. The viewing angle is not as wide as in other products. You don’t need anyone sitting close to you to be peaking at your files, right? So, that’s on purpose and also considered an extra, usually found in the more expensive business class laptops. Another great feature of the screen is the possibility to open it to fully horizontal position.Centrally located above the display we find the HD Webcam with 720p. According to our tests the image transmition in skype video calls was completely satisfying. Another new feature, but on a software level is the face recognition. The keyboard is island-style. On the right side there is a numpad and underneath a fingerprint reader. The touchpad is located not in the center but a little bit to the left and it’s wide enough. Its also multitouch with not 2 but 4 buttons and has gesture recognition. At the periphery of the 6570b we find 4 USB ports, two of which are the 10 times faster version 3.0, a DisplayPort, stereo outputs for headphones and microphone and RJ Standards 11 and 45. Also a VGA output. The card reader is Express Card/54, recognizing SD and MMC. The bottom of the laptop is where a docking station could be connected and also where you can put a second battery. The choice of optical devise is reduced to the following three options: a DVD-ROM, a DVD+/- RW SuperMulti DL and the multifunctional DVD combined with Blu-ray. For the graphics there is AMD Radeon HD 7570M with 1 GB GDDR5 of its own memory. 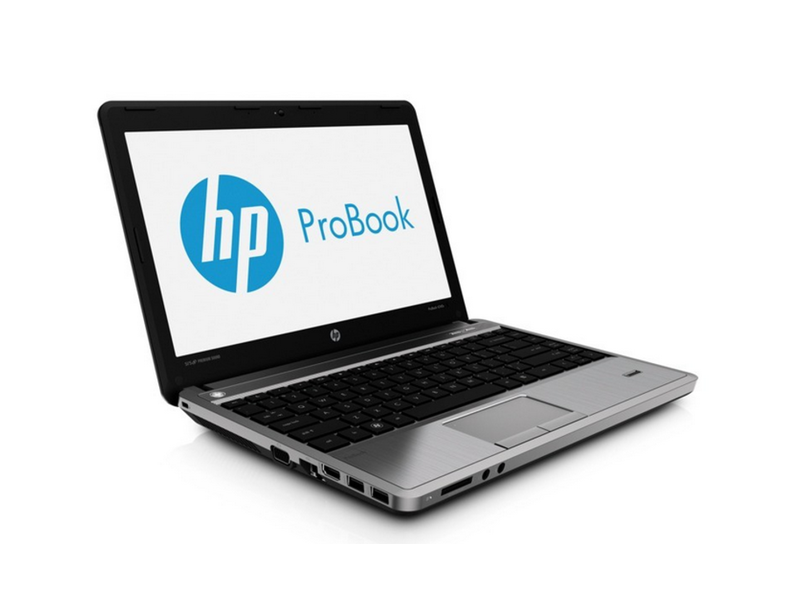 When it comes to hardware – there are also various options in this HP probook. The processors are 5 all Intel-Core ™ i3 and i5 + the dual core Intel Core i7-3520M. With 4 MB L3 cache, it runs on at 2.9 GHz, and in extreme Turbo Boost it jumps to 3.6 GHz. The maximum for the RAM memory is 16 GB SDRAM DDR3 1600 MHz. The hard disc could be the impressive Flash-based Solid State Drive with a size of 128 and 256 GB. If you prefer to bet on the classic HARD, it will be up to a 500GB SATA II 7200 rpm. The batteries could be two types – 6 and 9-cell Li-Ion – with up to 7:15 hours and 13h. capacity per charge.